I finally decided to remove the doors under the sink and put up curtains. I have deeply pondered this move for 5 years, so it was time to do it. 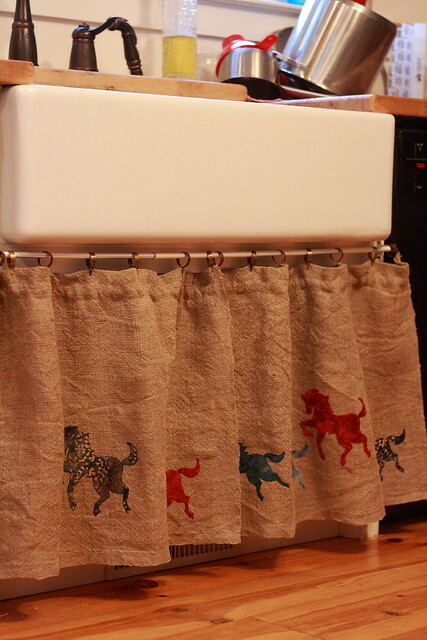 I planned to hang 2 plain burlap curtains —- fast and simple. 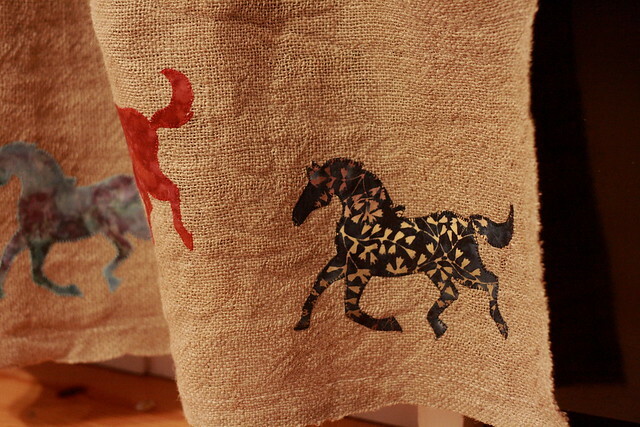 Then an imaginative little girl sat on the floor in front of the sink and wondered how beautiful it would look to have horses on the curtains . . . . .